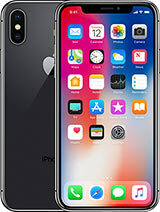 Apple’s iPhone X had a price tag of $999 (about N365,000) on launch day in November 2017 making it the most expensive version of the device ever manufactured. It was even more expensive outside the U.S. most of the time due to sales and import taxes. Swiss Bank UBS conducted an analysis of the device’s price for someone on an average wage in 15 different professions in major cities. It found out that in Zurich which is incredibly affluent, anybody hoping to buy an iPhone X on an average wage would have to work almost 5 days straight to get their hands on the iPhone X. For an average New Yorker, 6.7 days would be required. If that sounds like a lot, spare a thought for people in Africa dreaming of buying Apple’s flagship smartphone. 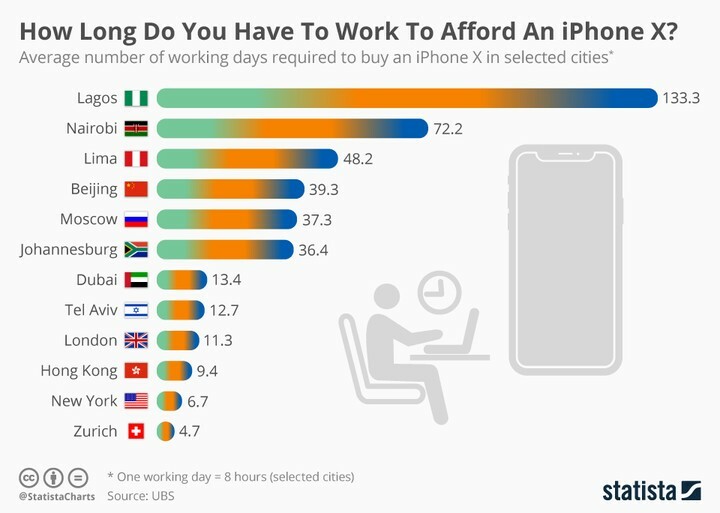 In Lagos Nigeria, one of the world’s fastest growing cities and the most populous city in Africa, anybody hoping to buy an iPhone X on an average wage would have to work for 133 days. This is because wages are still extremely low here. In the Kenyan capital of Nairobi, all you need is 72 days of work on an average wage to purchase the handset. The numbers reflect that labour is cheaper in African cities than their European and American counterparts. It also signifies the purchasing power of the citizens of these cities. Please note that 1 working day here = 8 working hours.